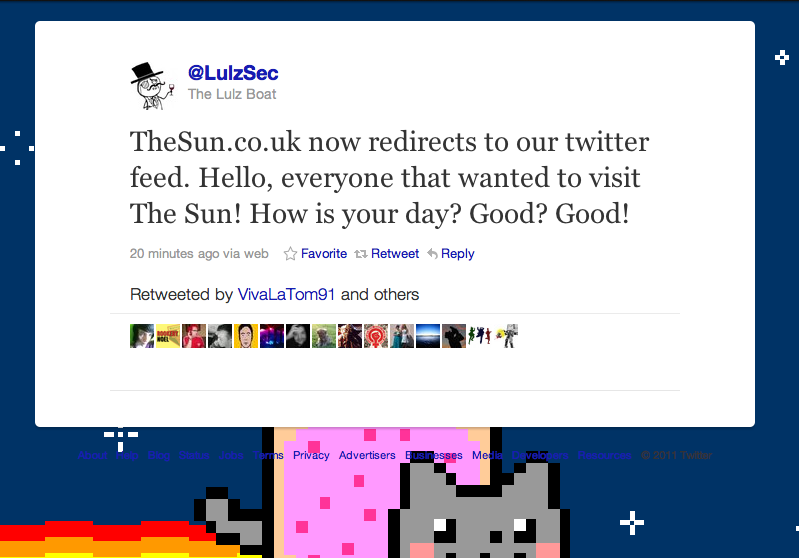 The group also threatened that The Sun hacking went further than surface level, and tweeted out the emails and passwords of what are presumably Sun employees from the @LulzSec account, writing “We are showing you a very small surface; the real damage is currently giving the admins heart attacks. ;).” Gizmodo is reporting that one of the employee passwords tweeted out by the Twitter account “Anonymousabu” belongs to the recently-arrested News International chief Rebekah Brooks. 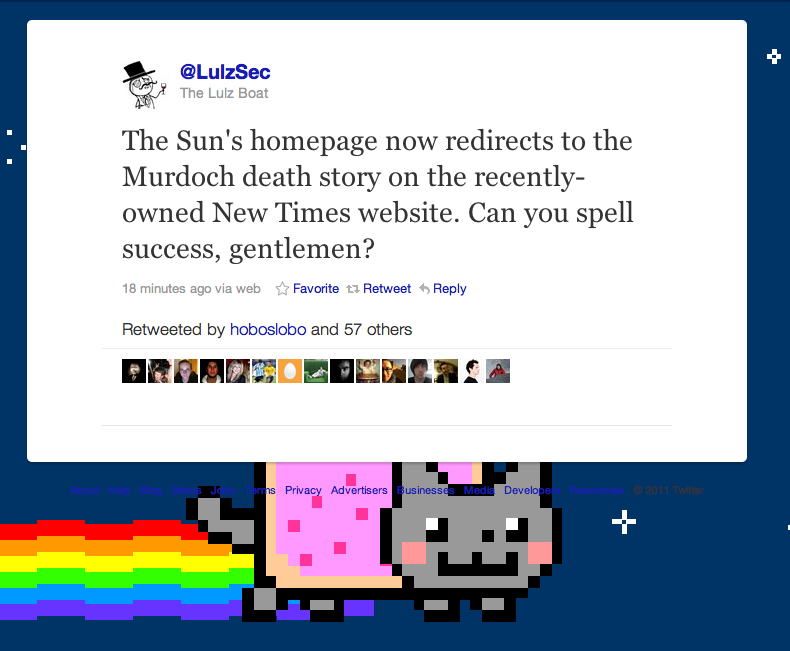 TechCrunch Europe is also reporting that LulzSec also circumvented a News International attempt to post a statement about The Sun attack. That site isn’t loading at all for me. Just when you though this News Corp story couldn’t get any worse, it did (Just add LulzSec!). But still, punishing the unscrupulous hacking of a murdered girl’s phone (among other things) with more hacking might not be the most coherent way to get your message across. Update: The group is now claiming to have taken down News International’s DNS servers, bringing all 1,024 News International sites down.